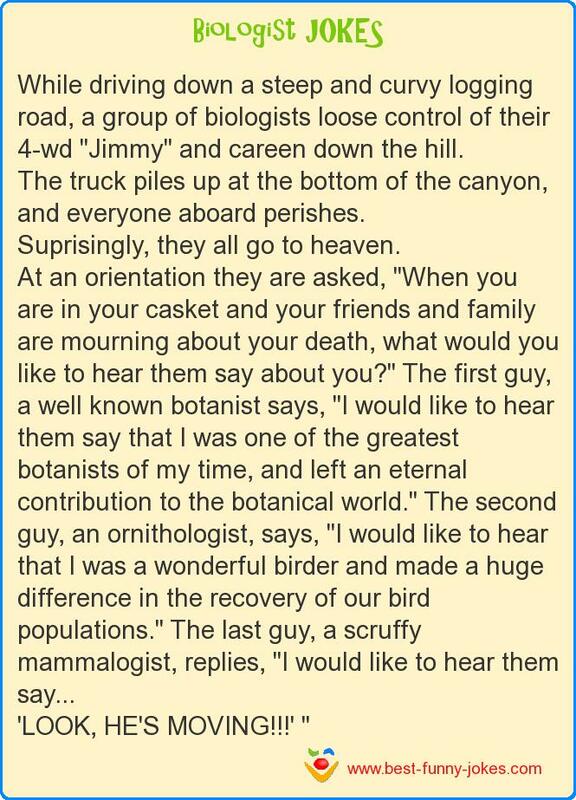 While driving down a steep and curvy logging road, a group of biologists loose control of their 4-wd "Jimmy" and careen down the hill. The truck piles up at the bottom of the canyon, and everyone aboard perishes. Suprisingly, they all go to heaven.